Top 5 hot destinations to travel in Uttarakhand, India. August 21, 2017 October 26, 2017 @parveshjainphotography2 Comments on Top 5 hot destinations to travel in Uttarakhand, India. able to climb higher tomorrow. Uttarakhand is a travel destination with loads of magical myths, mystical tales, and mountains. Land of Gods ( Dev Bhoomi ) is another renowned name for this dramatic state of India. The state in itself has a lot to offer from rugged terrains to curvy hill roads which will lead you to the gates of heaven or to spectacular holy places such as Kedarnath, Amarnath, Badrinath and so on. It is the most important place within the beliefs of Hindus in India. It has everything you can ask for mighty rivers, holy pilgrimages, and galactical mountains. This article will surely help you to choose your next trip destination in Uttarakhand. These are the 5 best places to visit in Uttarakhand, India. It is one of the hottest places widely known for its snow-oriented activities such as skiing, snowboarding etc. This snow paradise offers purest of air with sparkling mountains and slopes of Uttarakhand. It is a famous hill station with ski resorts in abundance situated in the middle of the Himalayan range. Endorsed with deodars, oaks, and apple orchards add charm to this place. Places to visit and Things to do in Auli — Skiing, Trishul Peak, Gurso Bugyal, Kwani Bugyal, Chenab Lake, Joshimath and multiple trekking trails. Best time to visit Auli — Auli can be visited any time of the year. How to reach to Auli — The best way to reach there is by car and also you can take a bus from Delhi to Joshimath and then take local transport to Auli. An ideal time to spend in Auli — 2-3 days time is sufficient to have the best of experience in Auli. Located in the west of mighty Himalayas within 300km from Rishikesh. It won’t be wrong to say it is one of the vibrant places you’ll find in India. As the name suggests it’s a National Park nestled in Uttarakhand with all variety of flowers bloomed with nature’s fresh aroma. The meadows of alpine flowers and diversified range of flora will definitely blow your mind, trust me the floralscape is mesmerizing. You have to visit this floral paradise then only you might feel the bliss of it. This lush green region is also home to some unique and endangered wildlife species. You might be able to spot animals like Asiatic black deer, snow leopard, musk deer, red fox, brown bear and blue sheep. This place has floral pastures, running water streams and a dazzling backdrop of the mountains, it has a bit taste of everything you might ask for. Places to visit and Things to do in Valley Of Flowers — Hemkund Sahib, Trekking In Valley Of Flowers, Encounter with fauna and enjoy the flora. Best time to visit Valley Of Flowers — Valley of flowers is at its best just after monsoon season, so August onwards is the right time to travel. How to reach to Valley Of Flowers — The closest you can get to The Valley of Flowers by road is Govind Ghat. This requires around an 11 hour drive to Joshimath from Dehradun, then another one hour to Gobindghat. From Gobindghat it is a 13-kilometer (8.1 miles) trek along a steep, narrow, but well-defined mountain trail to base camp at Ghangaria. This will take between 4 and 8 hours. From Ghangaria, another 3km trek leads to the valley. An ideal time to spend in Valley Of Flowers — 3-4 days time is bare minimum you need to explore the national park. 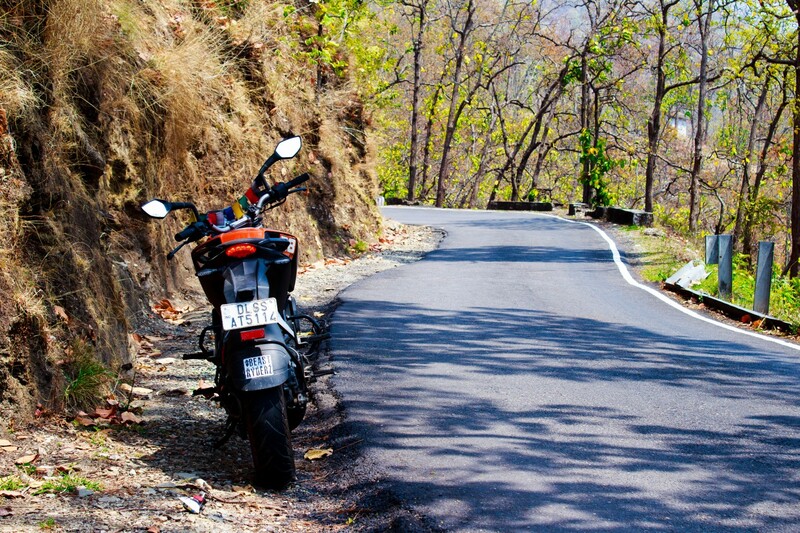 The best place full of adventure and adrenaline rush would be Rishikesh the nearest to New Delhi. 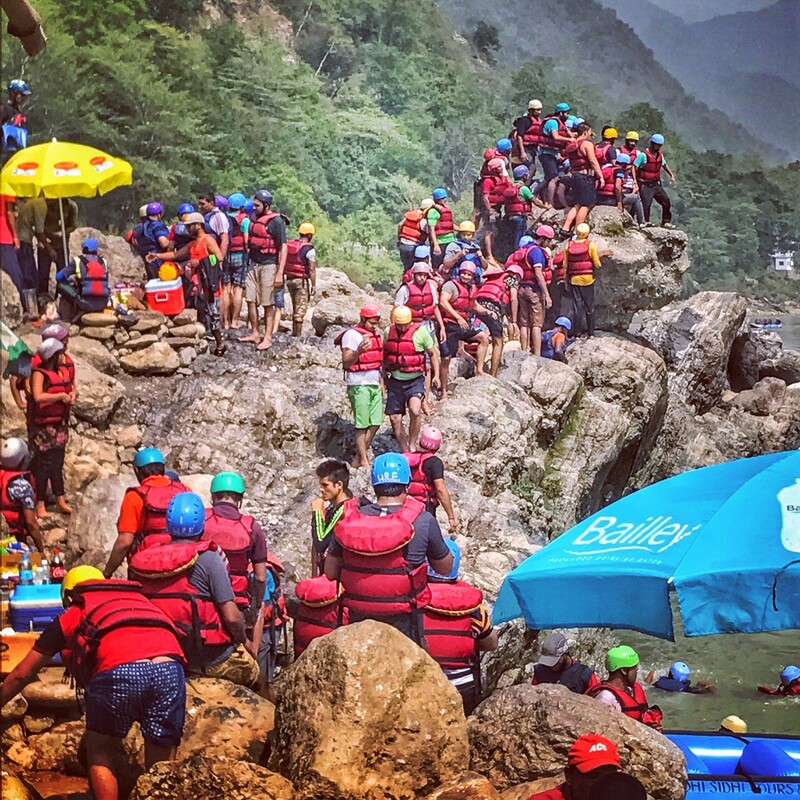 The place does have much in it, But River Rafting, Bungee Jumping, and Zip Lining are considered as the best available action pack adventure sports in India right now. Rishikesh is also a hub for devotees especially Hindus, people from around the globe come here to find inner peace. Today it styles itself as the ‘Yoga Capital of the World’, with masses of ashrams and all kinds of yoga and meditation classes. Places to visit and Things to do in Rishikesh: Rajaji National Park, River rafting in the holy Ganges, Bungee jumping from the height of 80m, views of live night Ganga Aarti and much more. Best time to visit Rishikesh: It can be visited any time of the year, but March – Mid July and October – December is the only time you will be able to do rafting and trust me its the best in India saying from my personal experience.any time of the year, but March – Mid July and October – December is the only time you will be able to do rafting and trust me its the best in India saying from my personal experience. How to reach to Rishikesh: The best way to reach there is by bus there is a direct bus available from Delhi to Rishikesh in almost every 2-3 hours from Kashmiri Gate ISBT or you can go for the car if you want the journey to be more personal. An ideal time to spend in Rishikesh: 2-3 days time is more than enough to do all the stuff I have mentioned above. Does a wild roaming Tiger in the woods tempt you? If yes then this place is perfect for you or I should say crafted for you. The landscape of magical Corbett is well-known and fabled for its tiger richness. It’s a larger part of Corbett Tiger Reserve. Jim Corbett National Park consists of naked barren hills, beautiful grassland and humungous lakes in it. It is the only national park in India which offers you overnight stay inside the park only. Waking up in the lap of wilderness is a fantasy we all wanna live. The park is not only popular for its animals range, but also provides a bliss for the ones who love bird watching. Places to visit and Things to do in Jin Corbett National Park — Jeep safari, wildlife photography, night stay in the Jim Corbett national park, Jim Corbett museum etc. Best time to visit Jin Corbett National Park — The place can be visited anytime in the year. How to reach to Jin Corbett National Park — The state government of Uttarakhand plies buses at a short interval of time from Delhi, Moradabad, Haldawani, and Nainital that reaches Corbett directly. By the way, car option is always available as it’s just 250 km from New Delhi. It is the honeymoon paradise for Indian married and non-marries couples nestled in foothills of Kumaon Region. Magical lakes, ancient temples, and natural scenery make it a rightful must to travel destination in Uttarakhand. It’s basically a commercial hill station blessed with its own landscape views with natural hot springs to add a cherry on the cake. Places to visit and Things to do in Nainital — Famous Naini Lake, Naina Peak, Trekking, horse riding, Tiffin Top and lot more site seeing places. Best time to visit Nainital — Any time of the year. How to reach to Nainital — The best way to reach Nainital city is by bus there is a direct bus available from New Delhi to Nainital from Kashmiri Gate ISBT or you can go for the car if you want the journey to be more personal. An ideal time to spend in Nainital — 1-2 days time is sufficient to have the best of experience in Nainital. Don’t forget to comment and share your views on this article I would be glad to know more about your views on this post.